October 21, 1975. 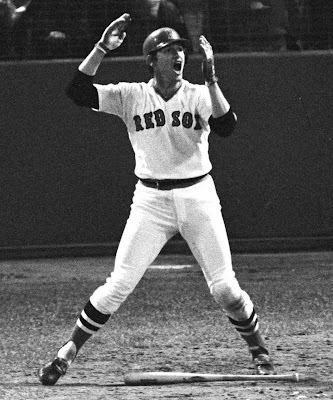 What avid baseball fan could not recall Carlton Fisk pleadingly waving for his homerun to stay fair? A fair ball it was and it forced a game seven between the Red Sox and Reds. Fisk's homer is one of the most famous and dramatic in major league history.